It’s that time of year when we deck the halls and untangle the twinkle lights. That’s right, it’s Christmas in the City of Angels. Get into the spirit of the season by taking a tour of iconic holiday movie and television locations. Though it hasn’t snowed in L.A. since 1962 and the city’s famous palm trees don’t exactly scream "winter," Los Angeles is home to many classic Yuletide filming sites. 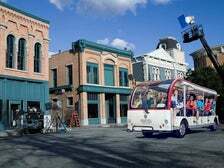 Read on for 10 famous holiday movie and TV locations. Bullocks Wilshire - "Christmas Vacation"
Though it’s set in Chicago, John Hughes’ 1989 comedy "Christmas Vacation" was lensed almost exclusively in Los Angeles, with a few key exterior scenes shot in Colorado. The department store where Frank W. Griswold (Chevy Chase) comically fumbles through a conversation with a saleswoman named Mary (Nicolette Scorsese) was actually the now-defunct Bullocks Wilshire in Koreatown. 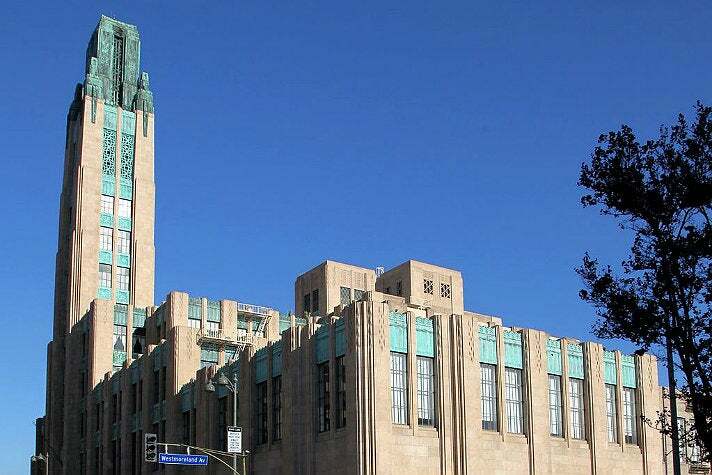 The 1929 Art Deco structure, which was designed by John and Donald Parkinson for department store magnate John G. Bullock, was at one time L.A.’s grandest shopping destination. 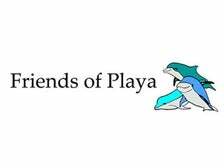 After suffering damage in the early 90s, the property was shuttered. In 1994, the historic building was purchased by Southwestern Law School and subsequently underwent a ten-year, $29-million restoration project. Today, the building serves as part of the law school’s campus. Martini House - "It’s a Wonderful Life"
The majority of locations from "It’s a Wonderful Life," arguably the most famous Christmas movie ever made, have sadly been torn down. 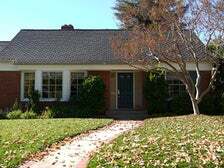 Fortunately, the Bailey Park home purchased by the Martini family in the holiday classic still stands on a leafy street in La Cañada Flintridge. 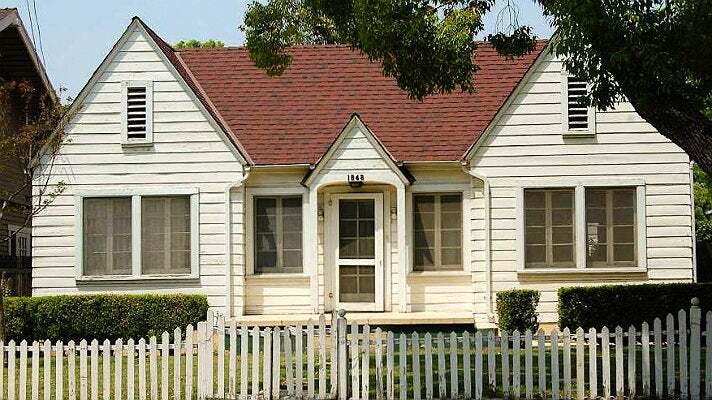 The one-story, ranch-style dwelling looks exactly the same today as it did on the silver screen when "It's a Wonderful Life" premiered in 1946. New Life Community Church - "Four Christmases"
In the 2008 comedy "Four Christmases," Vince Vaughn portrays a rousing Joseph during a production of The Nativity play at what is said to be the United Church of Faith and Worship, Piedmont Branch. 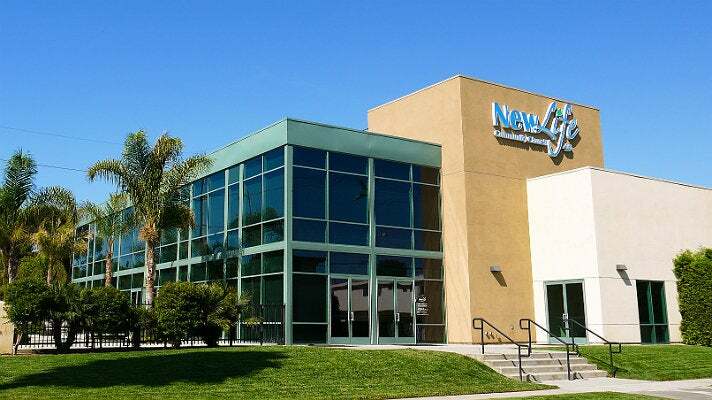 In reality, the scene was shot at the New Life Community Church in Hawthorne. Don’t look for Pastor Phil’s eccentric neon lighting and projection screens at the sanctuary, those were set decorations brought in for the shoot. In real life, the church has a much more subdued décor. Brownstone - "Home Alone 2: Lost in New York"
While the vast majority of the 1992 holiday classic "Home Alone 2: Lost in New York" was filmed in Chicago and Manhattan, the brownstone where Kevin unleashed his tricks on bungling burglars Harry and Marv could at one time be found on Brownstone Street at Universal Studios Hollywood. 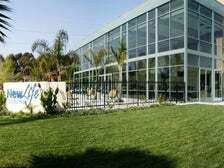 Sadly, the structure, as well as the four-acre New York Street backlot that surrounded it, was destroyed during a three-alarm fire that took place on June 1, 2008. 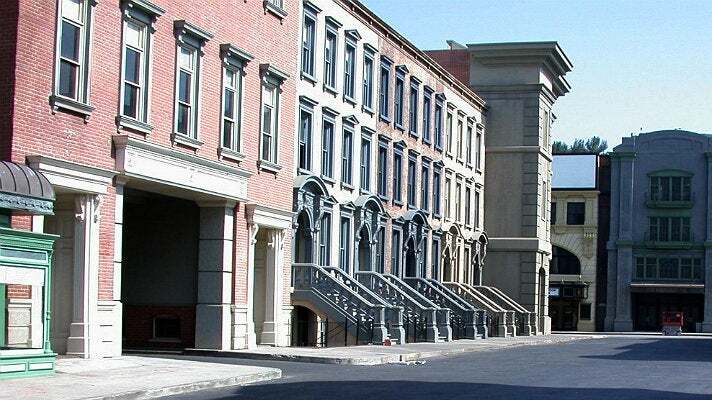 New York Street was rebuilt in 2010 and, while it does look similar to its predecessor, the brownstones located there are not the ones that appeared onscreen in 1992. The new Brownstone Street is no stranger to the screen, it's featured regularly on "The Mindy Project." Fans can catch a glimpse of it while taking the world-famous Studio Tour. 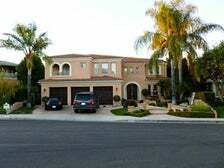 In 2003’s "Bad Santa," down-on-his-luck mall Santa Billy Bob Thornton takes up residence with a young boy and his grandmother at a large Mediterranean-style house in West Hills. 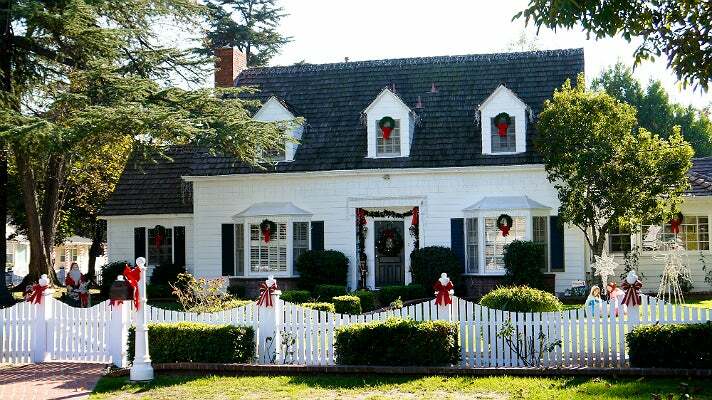 Both the interior and the exterior of the residence were used extensively in the dark Yuletide comedy, which, despite being set in Arizona, was filmed exclusively in Los Angeles. The 1984 holiday-themed horror flick "Gremlins," which was largely inspired by "It’s a Wonderful Life," supposedly takes place in the fictional town of Kingston Falls, but was actually shot in L.A. The church where Father Bartlett (William Schallert) and Mr. Anderson (Harry Carey Jr.) unsuccessfully tried to drop some letters into an uncooperative mailbox on Christmas Eve is not really a church at all, but a backlot set piece located on Midwest Street at Warner Bros. Studios. 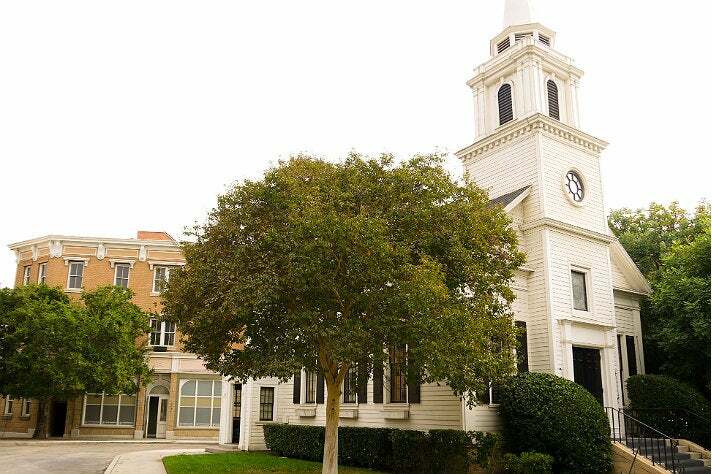 The church, which also appeared in the original "Oceans 11" and pops up regularly on "Pretty Little Liars," can be viewed via the Warner Bros. Studio Tour Hollywood. 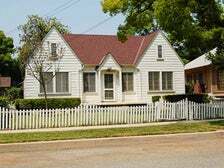 The Peltzer family house from the movie is also located on Midwest Street. 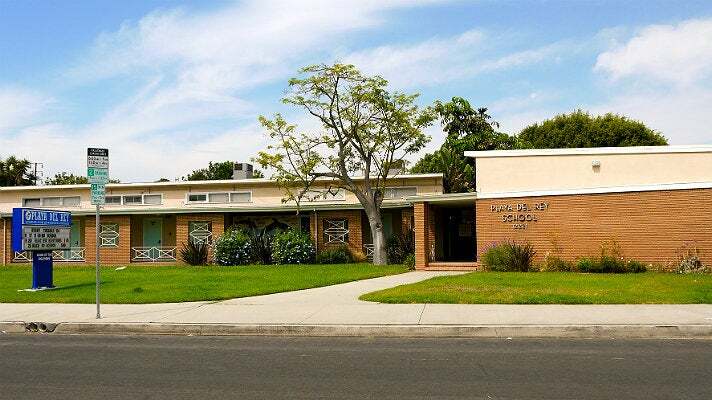 Playa del Rey Elementary School - "Beverly Hills, 90210"
In the Season 3 episode of "Beverly Hills, 90210" titled “It’s a Totally Happening Life,” Brenda, Dylan, Steve (dressed up as Santa!) and the rest of the West Beverly gang spread holiday cheer by heading to the fictional Alvarado Street School to hand out gifts to needy children. 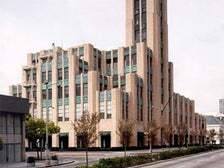 Filming of the episode took place at the Playa Del Rey Elementary School in Culver City. In the "It’s a Wonderful Life"-themed episode, two angels named Clarence and Miriam watch over the gang and even manage to save them from a fatal bus accident. Jerry Gergich House - "Parks and Recreation"
In the Season 5 episode of "Parks and Recreation" titled “Ron and Diane,” the Pawnee, Indiana Parks Department crew attend a Christmas party hosted by Jerry Gergich (Jim O’Heir) and his shockingly attractive family. 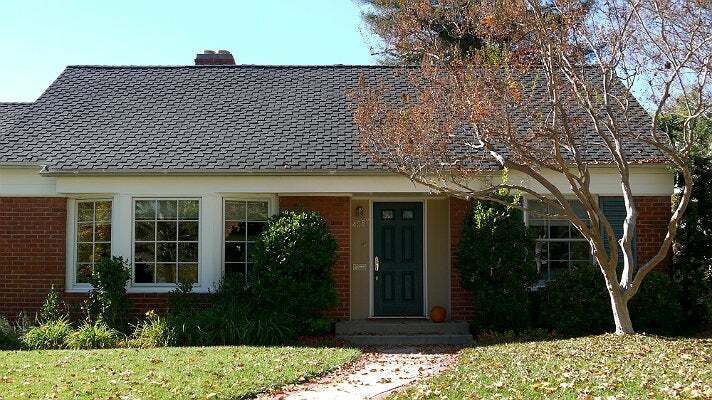 The Gergich’s idyllic residence, which looks like it was built for the sole purpose of displaying holiday decorations, can’t be found in the Hoosier State - it’s actually on a tree-lined street in Valley Village. Ohara House - "The Holiday"
In the 2006 rom-com "The Holiday," one of the few Christmas movies that’s actually set in L.A., a lovelorn Kate Winslet finally finds romance with Jack Black. 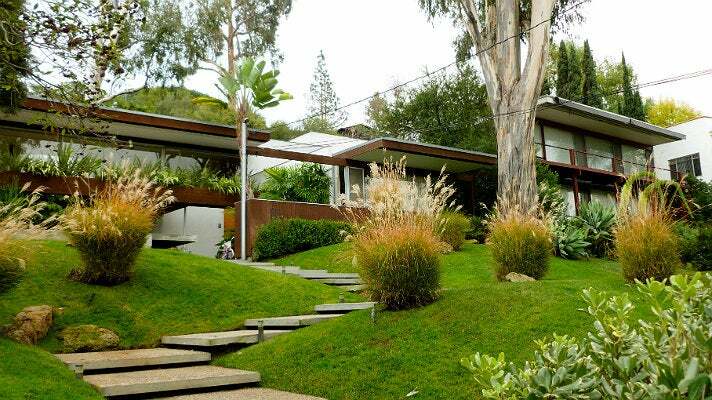 In the film, Miles Dumont (played by Black) lives in a Pavilion-style home designed in 1961 by prolific Modernist architect Richard Neutra. 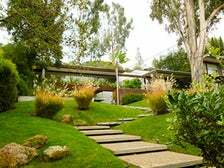 In real life, the stunning wood and glass abode, which is known as the Ohara House, sits on a sleepy Silver Lake cul-de-sac along with several other Neutra-designed properties. It’s Christmas year-round at this South Pasadena house – or at least it was when zany man-boy Pee-wee Herman (Paul Reubens) lived there with his shiny red bike in the 1985 cult classic "Pee-wee’s Big Adventure." 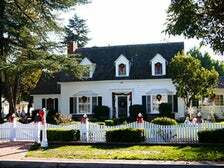 In the movie, Pee-wee keeps his house perennially decorated for the Yuletide season by displaying several large light-up Santa and reindeer statues on his rooftop and in his front yard at all times.